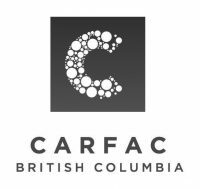 Art At Work is a series of professional development workshops for working artists and creative professionals presented by Richmond Art Gallery, Richmond Public Art Program and CARFAC BC. This workshop will use mock artist calls as the basis for a hands-on session led by Richmond Public Art Program staff. Through group exercises, participants will be provided with guidance and best practices in preparing applications for Requests for Proposals (RFPs), and Requests for Qualifications (RFQs). Free Workshop but registration is required: Limited to 20 participants. NOTE: Due to the high number of “no-shows” at free programs, we will oversell tickets. Please arrive early to ensure a seat.